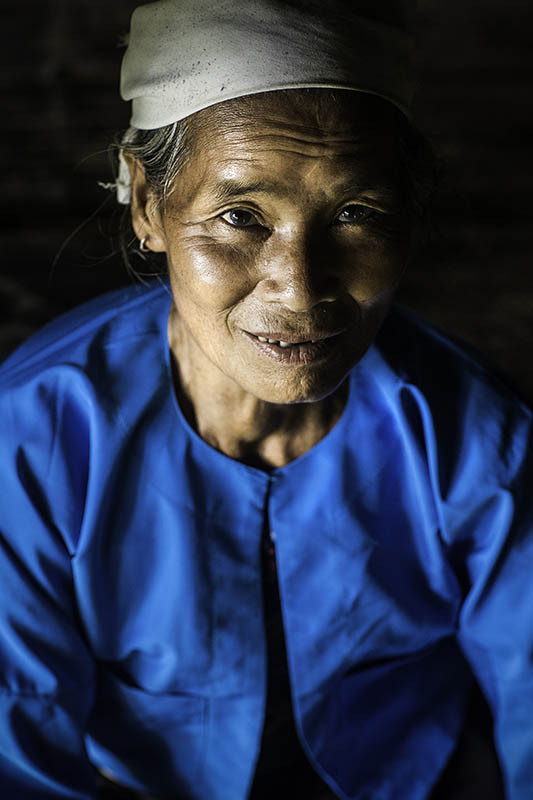 With around 1.3 million members, the Muong represent the third largest cultural group in Vietnam. They are very close to the Kihn, both in origin and linguistics, sharing more than 75% of their vocabulary. 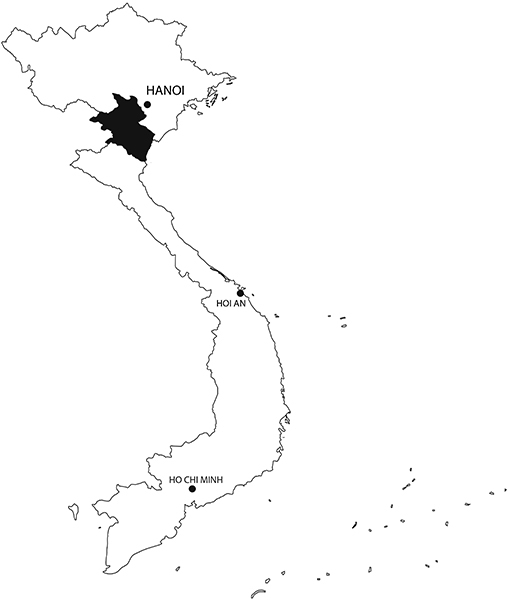 During the country’s Chinese occupancy, the Muong were largely uninfluenced by the Chinese culture, due to their remote location in the mountainous provinces of Hoa Binh and Thanh Hoa. Because of this, they are now often considered to be the only descendants of the first Viets. The small village of Giang Mo, where I met the Muong in June 2017, is organised around traditional stilt houses. 80-year-old Dinh Thi Chi, was wearing the traditional costume, smoking her bamboo pipe when I arrived. Sadly, with the area becoming more and more touristic, I believe that scenes like this one will soon become rare. The simplicity of the black skirt and short jacket contrasts with the fine detail of the belt (yếm) – a piece of fabric worn on the chest – and the edge of the skirt made of cotton brocatelle. These beautiful accessories reveal the weaving capabilities of the Muong women, a skill that once was considered an essential quality to be a “good wife”. Women can pick from more than 40 symbols for the decoration of these pieces. For instance, the dragon, which was reserved for the nobles in the old feudal system.